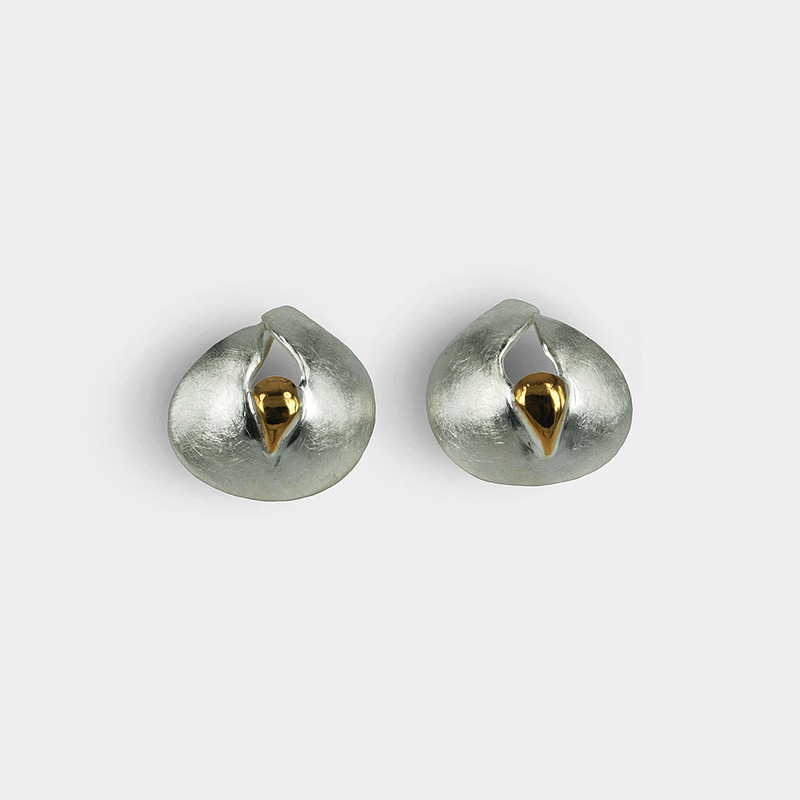 Original and uniquely designed minimalistic earrings in geometric shape, with gentle curves. They are entirely handmade. 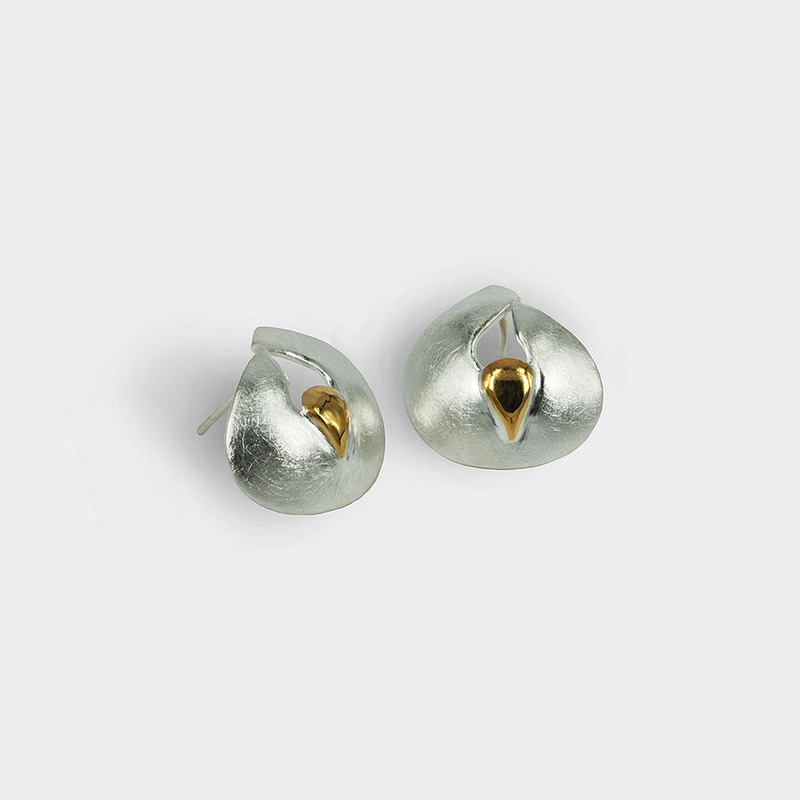 They are made of 925 sterling silver, with an element in yellow gold. Diameter : 2 cm X 1,9 cm. 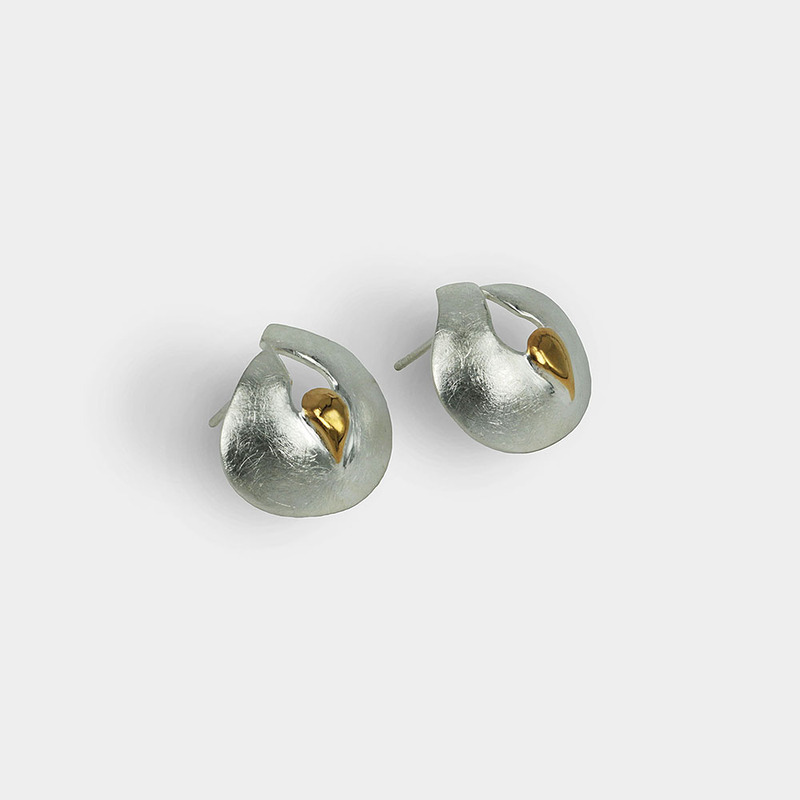 These earrings are part of the “Infinity” jewelry collection, which is inspired by the “game” of the number eight (8) and the symbol of infinity (∞).